Buying and selling your property? 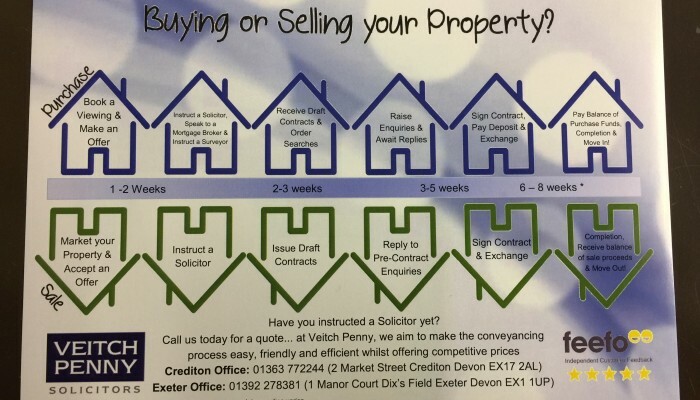 At Veitch Penny we understand the Conveyancing Process can be daunting, whether you are a first time buyer or an experienced property owner. Many people have questions about timescales. To help you understand the process for buying and selling your property we have produced our simple guide to Conveyancing. If you would like a copy of our guide or a quote for buying or selling your property then please contact our property team on 01392 278381 or 01363 772244.